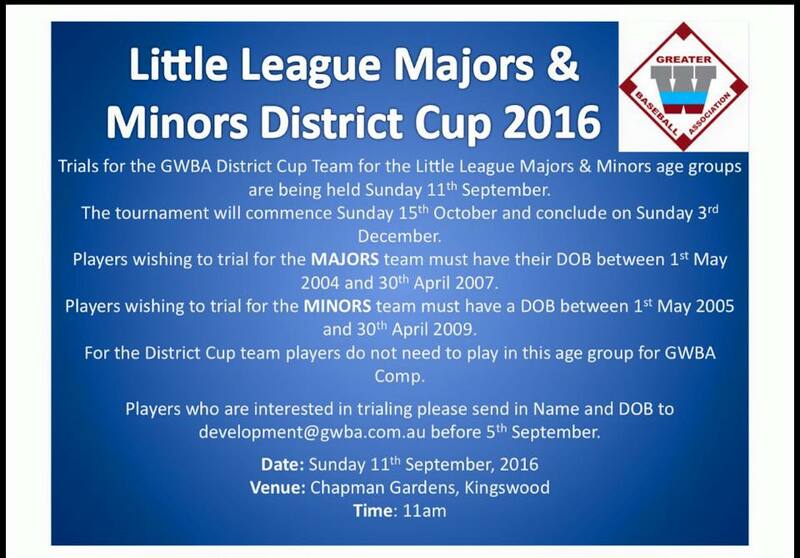 Little League Majors and Little League Minors Trials for the GWBA District Cup team will be held 11am Sunday 11th September at Chapman Gardens. Women's 2nd grade need more players ASAP!!!!!! 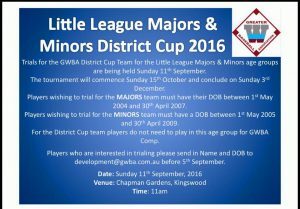 No Replies to "GWBA District Cup"